PLUSCO 857 Industrial White Non-Conductive Grease is a heavy duty industrial multi-purpose grease formulated with rust, corrosion and extreme pressure anti-wear additives. 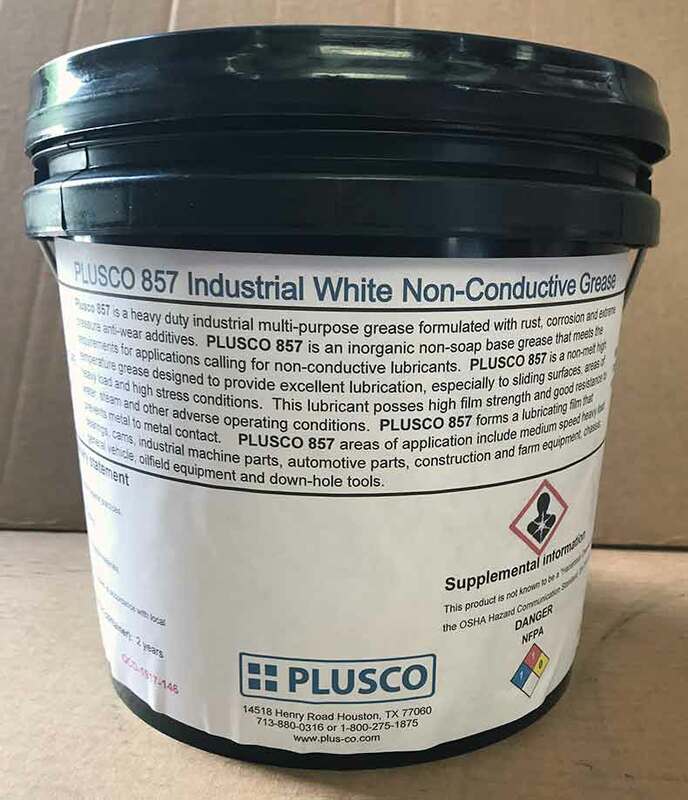 PLUSCO 857 Industrial White Non-Conductive Grease is an inorganic non-soap base grease that meets the requirements for applications calling for non-conductive lubricants. PLUSCO 857 Industrial White Non-Conductive Grease is a non-melt high temperature grease designed to provide excellent lubrication, especially to sliding surfaces, areas of heavy load, and high stress conditions. This lubricant possess high film strength an good resistance to water, steam and other adverse operating conditions. PLUSCO 857 Industrial White Non-Conductive Grease forms a lubricating film that prevents metal to metal contact, thus providing a remarkable resistant to wear. This heavy duty grease is commonly associated with other premium white industrial greases. 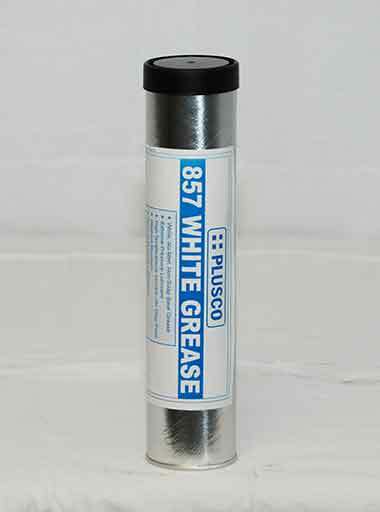 PLUSCO 857 Industrial White Non-Conductive Grease areas of application include medium speed, heavy load bearings, cams, industrial machine parts, automotive parts, construction and farm equipment. It is also recommended as a chassis and as a general vehicle lubricant. PLUSCO 857 Industrial White Non-Conductive Grease is often used on oilfield equipment and down-hole tools where washout by drilling fluids, mud, and other down-hole contaminants are common.